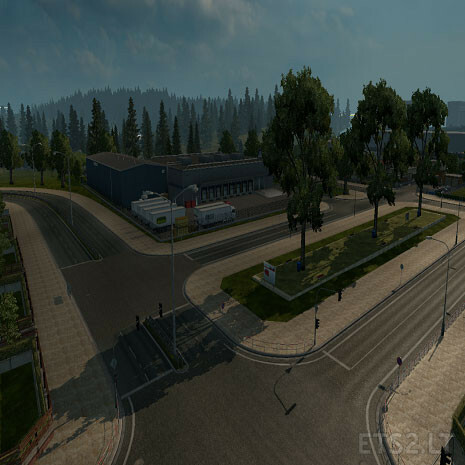 ETS2 addon with added companies in some cities For the vanilla map. Compatible with other maps such as EEA,PJ indo,Rusmap,R.O.S MAP.TURKEY MAP,POLAND REBUILD,EGYPT ADDON MAP. Requirements_DLC North & East and ETS2 v1.25.2.6 and upwards. Thanks and enjoy and happy trucking to all fans out there. Credits:Map AUTHOR Jabulani. BILLBOARD MODEL:Atak_Snajpera. SCS Software for base map. How does it work with Poland Rebuilding and not ProMods, when Poland Rebuilding is a part of ProMods?